Golf outings aren't just for leisure; they're an opportunity to get business done. Ribbon cutting ceremonies are held to mark the completion of projects, the opening of new locations and more. Welcome to the Wausau Region Chamber of Commerce! Our Mission: To strengthen our member businesses and enhance our community by building business success. Our Vision: We are the region's indispensable source for business connections, opportunities and solutions. Join this intensive program designed to provide greater insight and a deeper perspective of the Wausau region. New here? Relocating to the region? 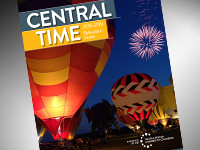 Browse the pages of the 2018-2019 relocation guide, Central Time, which includes profiles on individuals who have chosen to call the Wausau Region home. 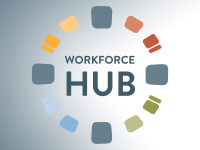 The Workforce Hub will offer online tools to connect talent with employers and visa versa. The Branch teaches collaboration, communication, creativity and critical thinking through entrepreneurial and corporate innovation projects. Purchasing a Chamber Gift Certificate ensures that money is spent locally at over 800 member businesses and helps build the area economy.